The Magic Fountain of Montjuic it’s without a doubt one of the most amazing spectacles in Barcelona, and it’s free of charge! It was one of the biggest innovations built for the 1929 International Exhibition, displaying water and light shows as early as 1922. 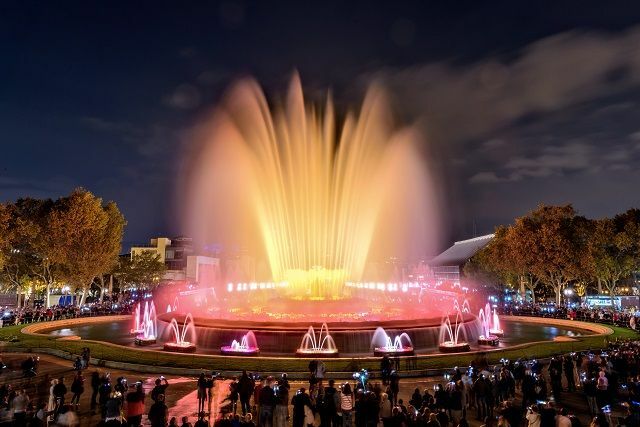 Nowadays, the Magic Fountain is one of the greatest shows in town, a beautiful display of water, lights and music. Sound was incorporated into the show in the 1980’s. For example, there are several performances featuring music from The Godfather, Disney movies, Star Wars, E.T, Lord of the Rings and the most awaited one, with the music of “Barcelona” by Freddie Mercury and Montserrat Caballé. There are two different ways to reach the Magic Fountain at Montjuïc. 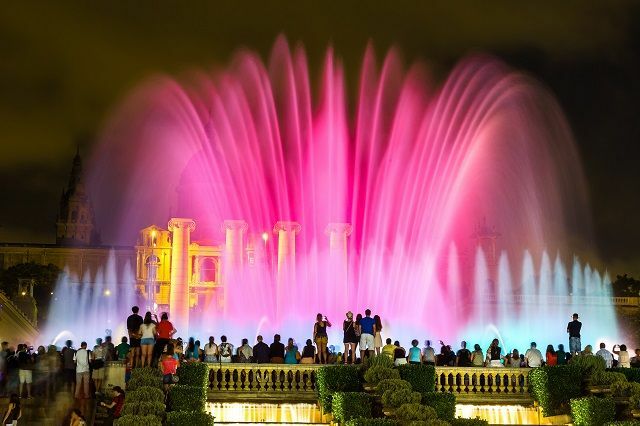 If you arrive to Montjuïc Mountain by Funicular or Cable Car, you must find your way down to Plaza España, and once you get to the MNAC (National Art Museum of Catalonia), you’ll spot the fountain with ease and find your favorite spot to watch the show. There you can enjoy the show from a distance. On the other hand, if you prefer to hear louder music and get a little wet, walk towards Plaza España through Reina Cristina Avenue to come a little bit closer. Urban Train-FGC: Lines L8, S4, S8, S33. Short Distance Trains: R5, R6.